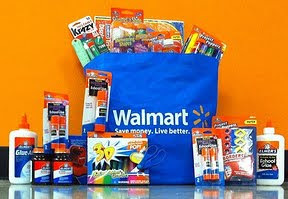 For each post written about these virtual school supply "gifts," Elmer's will donate $10 to Adopt-A-Classroom, up to a maximum of $10,000 through August 12, 2010. I am hoping all of my readers will consider participating in the Virtual Bag It Forward since it is such a quick and easy way to donate to a good cause. Consider yourself bagged! Please spread the word so we can earn some much-needed money for underserved classrooms this back-to-school season! Great cause Naomi, I'd love o donate. This is such a great cause - and a really easy way for anyone with a blog to make a difference!